Planning for one's retirement is nearly universally acknowledged as necessary, but sadly just beyond the reach for most of us to actually accomplish. This need not be the case for those willing to devote 6 hours a week for 6 weeks to the task. In 2006 I taught a class at Lake Tahoe Community College on retirement planning. The class was in a workshop format where students built their own personalized retirement plan. We read the excellent text book by Ralph Warner, Get a Life: You Don't Need a Million to Retire Well, and listen to guest speakers on retirement subjects. This class is not currently offered by LTCC. Check with the college web site at http://www.ltcc.edu to see if it is available in the future. The class listing was BSN 191AS Special Topic: Retirement Planning Workshop: 1 unit, 2 hours a class, one class a week for 6 weeks with 4 hours outside study recommended each week. This was not an investment class, but we did discuss how to get out of debt. The text focuses more on life style issues such as health, family, relationships, hobbies and interests and even second careers as predictors of a happy retirement. The first class drew over 15 students and was well recieved. The author of the text book even agreed to come up and be a guest lecturer after the class officially ended. We drew over 80 people from the community to hear Ralph Warner speak on retirement, which showed the level interest in the topic. The college decided to drop the class, however, because of poor registration the second semester, which I think was because of insufficient publicity to the community. To view the class syllabus and class notes, go to the class web site. 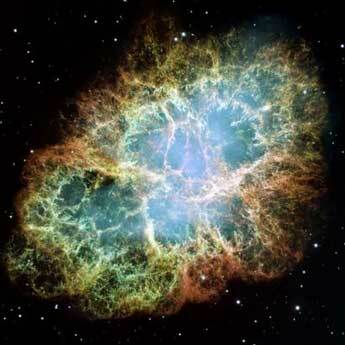 the Crab Nebula gives us a better perspective on our place in the Universe.